This Flagstone project pack contains 12 No. 600x450, 12 No. 450x450, 12 No. 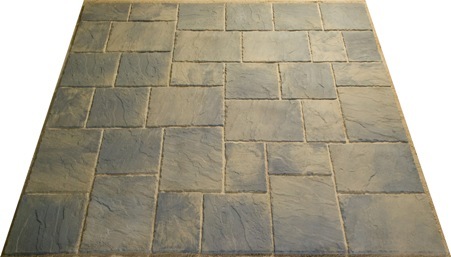 450x300 slabs covering 7.3m2 and is available in all three Flagstone colours. 12 No. 12 No. 12 No. The following diagrams shows a suggested random laying pattern and also shows how packs can be joined together by rotating and moving slabs to break up straight joints.